The Team TEKNO Holden Commodore driven by Jack Le Brocq worked hard on the comeback trail twice, as the Virgin Australia Supercars Championship hit The Bend Motorsport Park for the very first time. First lap incidents made for a difficult pair of races on the all-new South Australian circuit for Le Brocq, who worked hard to consolidate championship points. 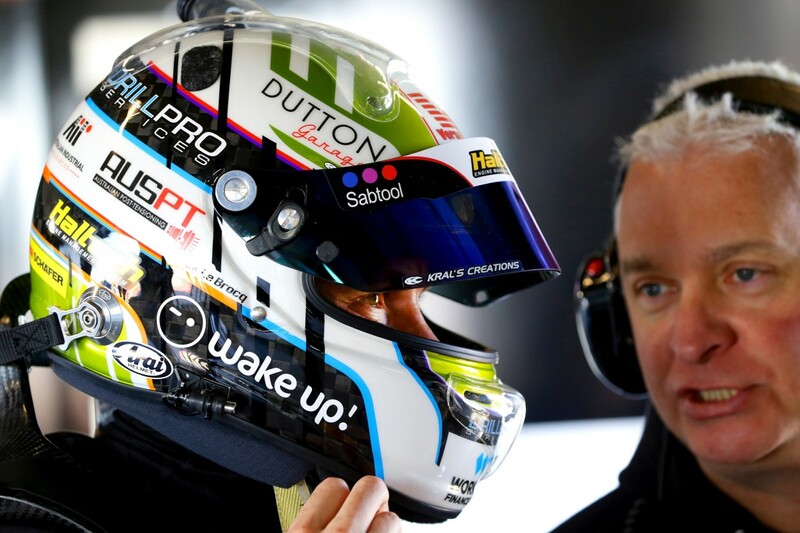 “I was lucky to get some laps around The Bend earlier in the year, but for the first time here in the Team TEKNO Supercar, there certainly were some challenges,” said Le Brocq. “The battle in practice was all about trying to find a balance in the car, which wasn’t easy given the slippery conditions and low-grip nature of the circuit. “Even in Saturday’s race, it was still a fight, but relative to those around us we were competitive. “All-in-all, we need to keep working on qualifying, if we can improve that, it will make life much easier in the races, and hopefully keep us ahead of the first lap dramas. Kicking off the weekend were three 45-minute-long practice sessions over Friday and Saturday morning, with Le Brocq registering results of 26th, 23rd and 26th. Qualifying for Saturday’s opening race saw Le Brocq set the 15th fastest time from the 15-minute session. 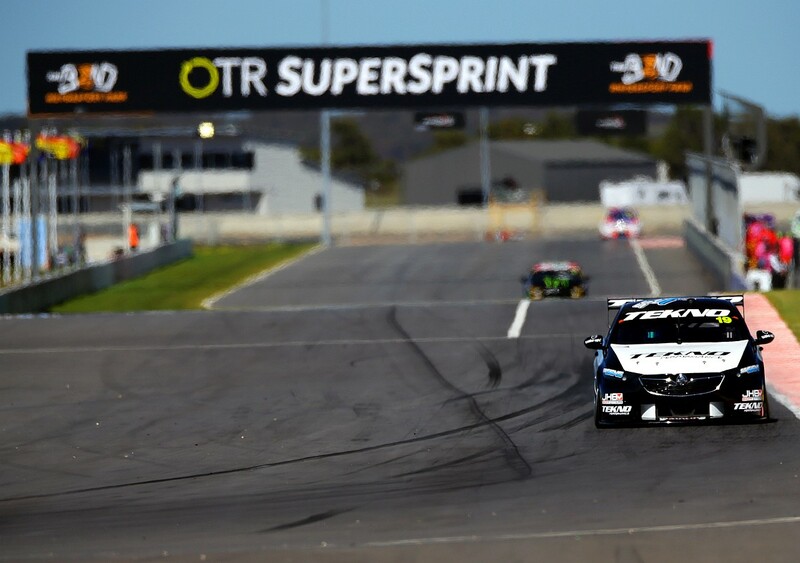 The 24-lap encounter started in tough fashion for the Team TEKNO squad, with Le Brocq turned around by Anton de Pasquale at the first corner, which resulted in a post-race penalty for the Erebus Motorsport driver. Resuming in 27th place, Le Brocq hit the pits under the lap seven safety car from 18th, with the field slowing while Garth Tander’s stranded car was retrieved from the final corner. Taking in the restart from 18th, Le Brocq drove through to 16th, before engaging in a battle with reigning Bathurst 1000 champion David Reynolds, with Le Brocq finally getting the upper hand on the final tour to be classified 16th. Sunday’s 20 minutes of qualifying saw Le Brocq earn the 19th starting position. After being forced off the track on the opening lap and dropping positions, Le Brocq headed to the pits for his first compulsory service at the end of the first circuit. Settling in 21st position after the first round of stops were completed, Le Brocq took to the pits for the second time from 15th on lap 17 of 41. Following a battle with Tim Blanchard, Le Brocq had a lonely run to the chequered flag, where he finished 18th, setting his fastest lap of the race on the final tour. After the first 23 races of the 2018 season, Le Brocq now sits 18th in the standings, with the championship set to continue with the first two-driver Enduro of the year, the Sandown 500, from September 14-16.